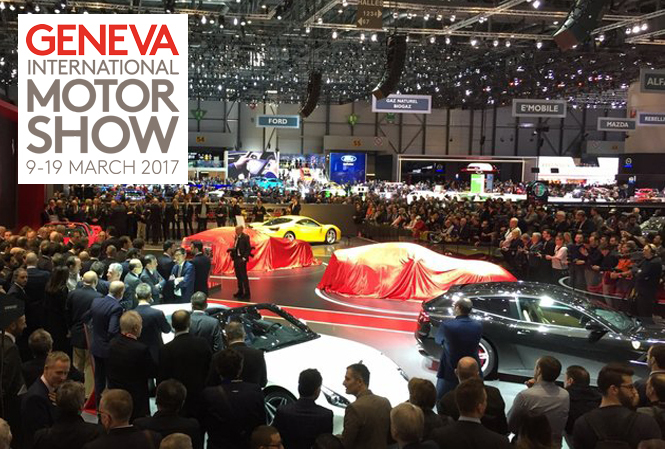 Geneva Motor Show 2017, the Show is about to begin! In the bid of introducing latest & futuristic products on the global platform, the auto manufacturer have been gathered in Geneva. In the same row, the German auto-giant has displayed the Audi Q8 Sports Concept, the luxury SUV at the ongoing Geneva Motor Show 2017. The Q8 was first revealed at the Detroit Motor Show in January 2016. 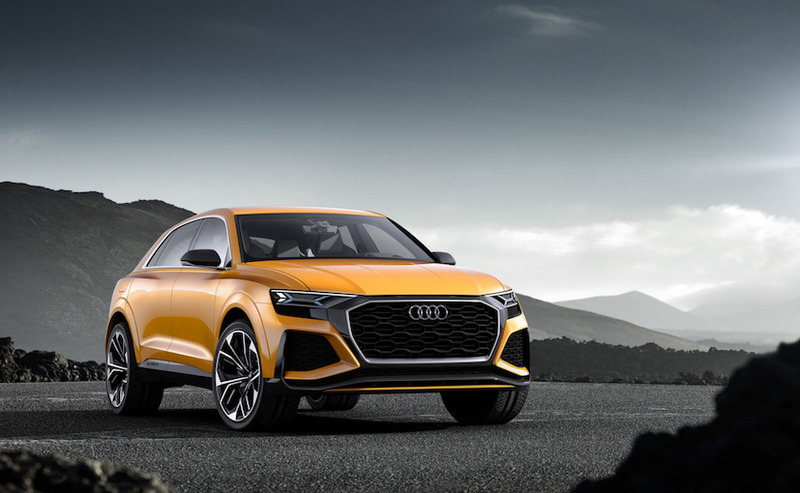 However, this time Audi presents the Q8 in much menacing and performance-targeted avatar. 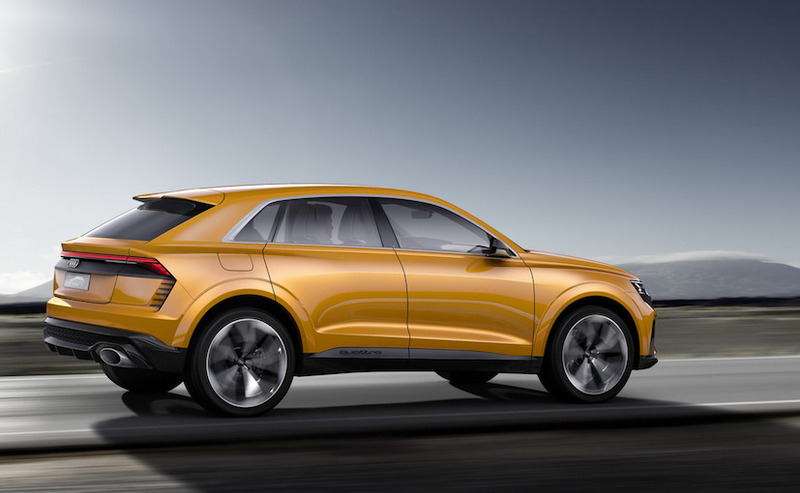 The futuristic highly efficient Audi Q8 will sit above the Q7 in the carmaker’s line-up. Painted in Krypton Orange Shade, the Q8 concept boasts of more aggressive, sharp and sleek design ideology over the original one. Major exterior details include blacked out honeycomb mesh grille, laser headlamps with black inserts, black painted rear diffuser and oval shaped exhausts. 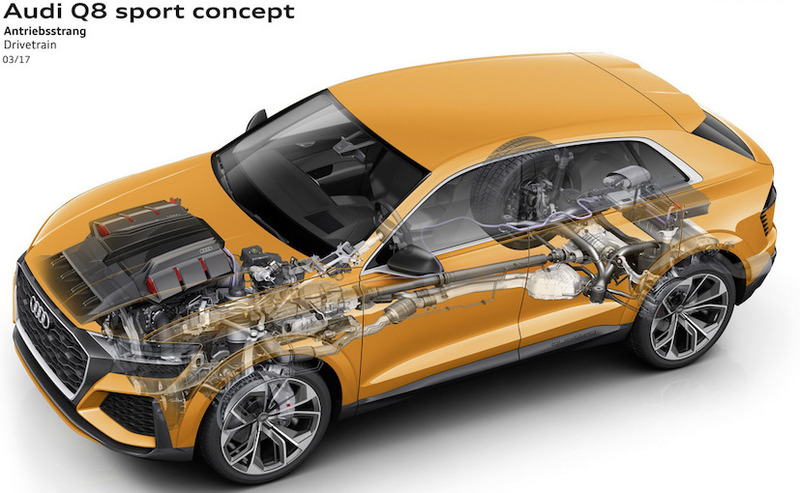 Hiding a 3.0-litre TFSI 6-cylinder mild hybrid setup integrated with an electric powered compressor under its skin, the Audi Q8 Sports Concept develops a massive power of 469 hp in combination with the immense torque of 700 Nm. The track-focused SUVs is capable of hitting 100 kmph from a standstill in decent 4.7 seconds and can goes up to a top speed of 275 kmph. Not just the power, the Audi Q8 is fuel efficient as well. With the lithium-ion battery setup under the, the SUV concept returns a claimed fuel economy of nearly 100 km per litre. The carmaker also added that you can cover around 1200 kilometer with a single fuel tank. Nearly after two years when the production of the old variant was stopped, the most awaited Audi RS 5 Coupe has finally made its debut at Geneva Motor Show 2017. 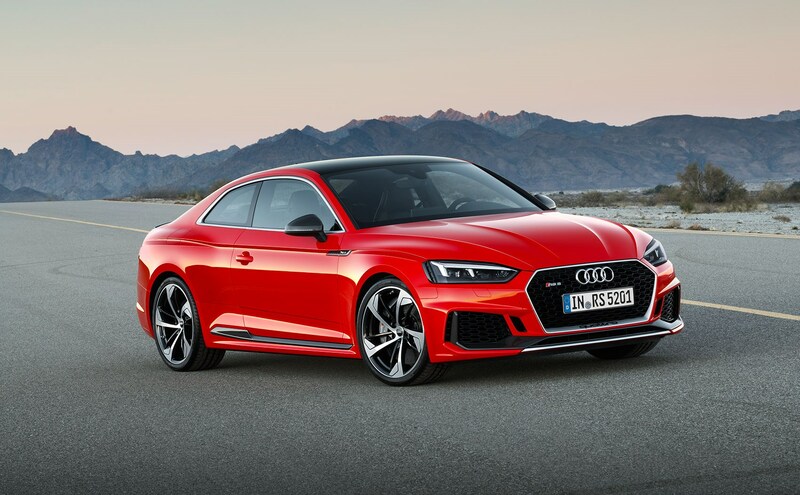 The new offering by the company is the first car to be blessed with Audi RS design, according to German automobile manufacturer, the design of this car is inspired from the Audi 90 Quattro IMSA GTO. The RS 5 is powered by a brand-new 2.9-litre bi-turbo V6 petrol engine, which is capable of churning out a maximum power output of 450PS along with 600 Nm of peak torque. The car can attain a speed of 100 kmph from a standstill in just 3.9 seconds along with a top speed of 281 km after equipped with the optional dynamic package. The power is transmitted to the all-wheel drive system via an 8-speed Tiptronic gearbox. 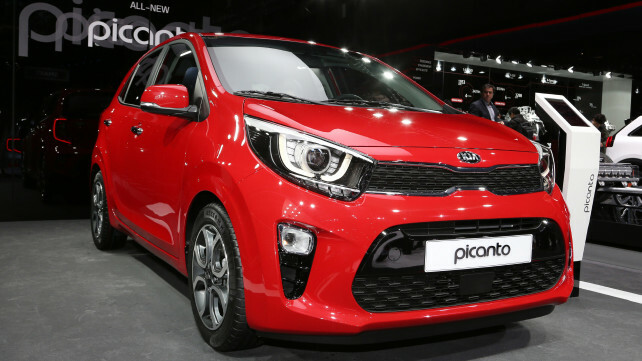 Finally, Kia, a sibling of the Hyundai automotive giant has revealed its third generation of A-segment model Picanto on the platform of Geneva Motor Show 2017. The car is expected to serve the Indian customers and is considered as a vital player in the cost effective market. There are a lot of changes in this new third generation Kia Picanto as the exterior has a lot more to show. The new offering has a latest two-part grille on the front, with linear headlamps and a bit high fog lamps to add to overall design stats. 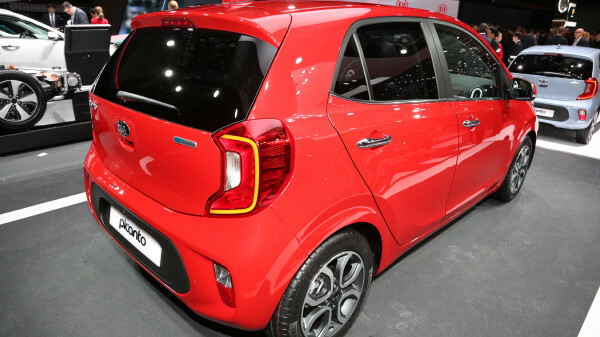 The side profile of the Picanto is much similar to that of i10 series and with tail lamps entangles LED lights for indicators is a lot cooler than before. Moving inside this new hatchback, one can find a lot of premium features like climate control, height adjustable seating, steering mounted audio controls, dual tone color theme with a tall supporting display for the infotainment system. The company revealed that this new third generation Picanto will soon go on sale in the European market with a choice of two petrol variants, one is a 1.0-liter unit while another one is a 1.2 liter. A chance of getting a 100 bhp turbocharged petrol version also under the thoughts by the end of this year. This model is highly speculated to enter the Indian market by the end of the decade and will take the lead in the company's ambitions project. The price is still not disclosed and one thing to consider, that the EU spec variants can be a lot more different from the Indian version as far as it seems. 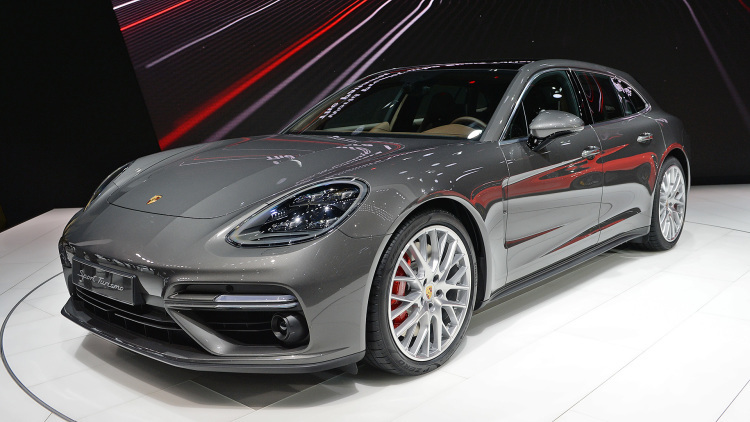 At the ongoing Geneva Motor Show, the German based carmaker, Porsche has unwrapped the 2018 Porsche Panamera Sport Turismo, the younger sibling of Panamera sedan which will go on sale from this October in several International markets. As, if the bookings for the Panamera Sport Turismo have already started at the Porsche centres in India. Apparently, a station wagon illustration of the hot Panamera sedan is pretty stunning. Dimensionally, the Sport Turismo measures 5,049mm in length, 1,428mm in height and 1,937mm in width along with the wheelbase of 2,950mm. In terms of cargo loading and unloading, the Turismo is a well worth wagon as it has loading lip at 628mm and offers total loading capacity of 520 liters to 1,390 liters by rear seats fold up and fold flat mechanism. Mechanically, the Panamera Sport Turismo will be offered globally in four variants including Base, E-hybrid, S and Turbo. And, each variant will be equipped with different powertrain underneath the hood. Whereas, all the variants will get the four wheel drive system. Base Variant - 330 PS V6 Turbocharged, 0-100 kmph sprint in 5 seconds. E-hybrid variant - 462 PS 2.9-litre twin-turbo V6 motor along with the electric motor, completes 0-100 kmph sprint in 4.4 seconds. S variant - 440 PS 2.9-litre twin-turbo V6 motor, hits 100 kmph from standstill in 4 seconds. 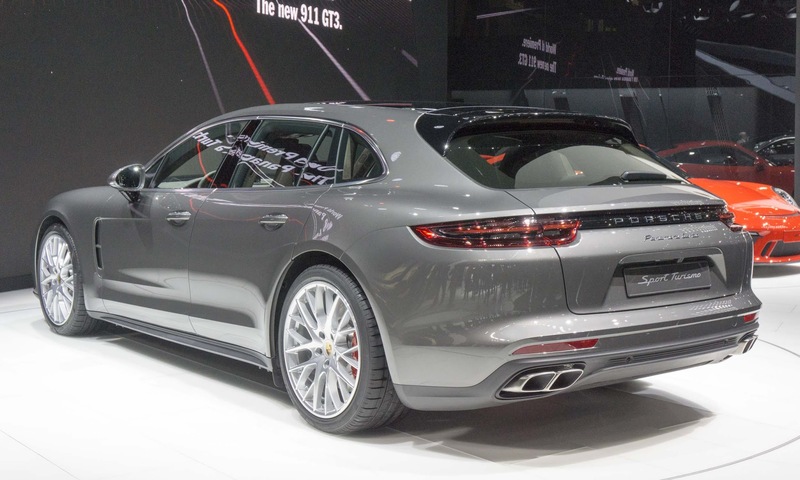 The range-topping Turbo - 550 PS 4-litre twin-turbo V8 motor that spits out the monstrous of power, and it is the fastest Porsche Panamera wagon with a 0-100kmph in 3.4 seconds. It is the only variant which will be supplied for the Indian market. Kia Picanto GT-Line - The Cheapest Performance Hatchback in the World!